PVC (Vinyl) rail fencing has been on the market for approximately 20 years. In its beginning, this innovative product was made specifically for residential use only. Since then, horse owners have ‘caught onto’ PVC fence and it is frequently used for horses. However, the big question is: “Is PVC a safe fence for horses?” Years ago we became more aware of the impact of using wood for building materials as well as fencing. Alternative composites were being developed to help lessen the demand for wood. Polyvinyl chloride (PVC) had been used to make thousands of products from fencing, house siding, mail box posts, etc. With new technology and the addition of Ultra Violet (UV) inhibitors, whitening additives (titanium dioxide), and fungicides, a whole new market began in decorative residential fencing as well as railed fence. 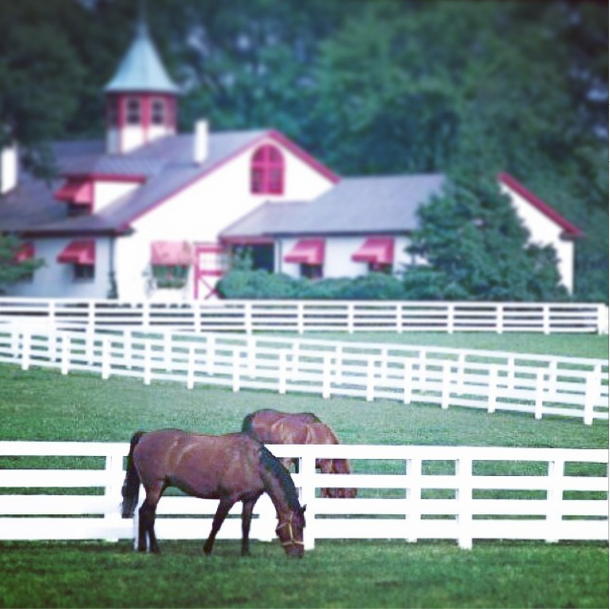 As residential owners began using PVC as an alternative to wood, horse owners liked the look and benefit of never having to paint their fence again. The internet is loaded with articles leading a horse owner to believe that PVC is a very safe fence and that it will break without injuring a horse. That is true. However, before purchasing a PVC fence for your particular horse/horses, there are some important facts that need you need to know. Proper installation is critical – as with every fence that you install, hiring a professional is your best bet such as Anchor Fence. Since PVC is light weight, all posts need to be concreted into the ground. If not, after a short time the posts will lean from the wind, ground conditions or horses leaning on them. Setting posts straight will allow the optimum amount of rail to be in the post, making the fence stronger and helping if an impact occurs. The picture above is a flat cap for a vinyl fence.